J.R.R. Tolkien once said, “Not all those who wander are lost, they simply need get with the program and download the Uber App.” Okay, the second part of that quote is 100 percent fabricated, and it’s hard to picture Tolkien glued to a smartphone like the rest of us even if he were around today. This leads me to the ultimate solution for classic literary characters with transportation problems: U-B-E-R. Think about it: How many perilous journeys could have been drastically shortened with the tap of an app? Who might have benefitted from foregoing a disastrous train ride in favor of a prompt SUV pickup? Look, Odysseus, it sounds like you had a great time cavorting with Circe after the Trojan War. Who knows, maybe even the Lotus Eaters were your thing; but has this whole "lack-of-good-transportation" snafu really been worth wasting a decade of your life? Enough is enough. Time to set a pick-up location and get back to Ithaca (just make sure your driver knows we're not talking Ithaca, New York). Gentlemen, I hate to break it to you, but I suspect your friend Godot is going to be a no-show. It might be time to get your act together and quit this waiting game. Getting to Godot will take minimal effort, I promise; in fact, the only finger you'll have to lift is the one it takes to tap "request a driver." Frodo, Frodo, Frodo, always fretting about your long journey to Mordor. It's far away, and Gollum is acting like a giant stalker, we get it. Not even Sauron will be able to stop you, though, once you and Sam score an Uber-X pickup. Poor Ichabod. We both know your old horse doesn't stand a chance in a race against the Headless Horseman. You know what does stand a chance? : An UberBLACK. A quick pickup at the Van Tassel farm will get you across the bridge and back home safe and sound. Now this might be a stretch, Edmond, but if by chance you can get a car — any car, because one can't afford to be picky in certain situations — to do a pickup at Château d’If, you might save yourself a lot of time and trouble. The only minor caveat? The aforementioned car better have sailing capabilities. 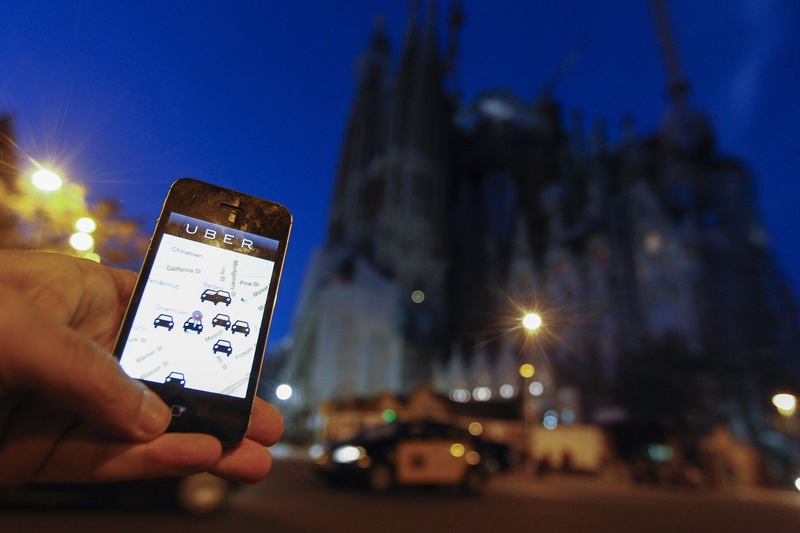 Does Uber possess that technology yet? True love may move mountains, but a little help from your smartphone to speed up the process can't hurt either. In fact, Inman, your drive back to Cold Mountain should only take a day or two. Pay no heed to the surge-pricing alert — you can't put a price on seeing Ada again! The bad news: A ride to the Emerald City is way out of Dorothy's budget. The good news: UberPOOL. See, Dorothy, you'll be off to see the Wizard via car significantly quicker than those slippers can carry you, and you'll have the chance pick up your friends Scarecrow, Cowardly Lion, and Tin Woodman along the way.